There are a huge number of flea treatment products available however not all flea treatments are created equal. If you are unsure which product is best for your pet’s specific needs, then just ask us. Many flea treatments also protect against ticks, lice and mites. If you only flea treat your pets for part of the year, then for the rest of the year you are allowing fleas in the environment to use your pet as a food source so they can then breed and lay eggs in your garden, carpets and furnishings. These eggs will become larvae, then pupae, which will remain hidden until warmer months, when they will all start hatching at once. If you flea treat all year round then there will be a lot less cocoons waiting to hatch in summer, so you can avoid a flea explosion! If you have a flea problem or have any concerns call the clinic early on for advice. Flea treatment doses are based on weight, if you are not sure of your cat's weight bring them in and weigh them in the clinic (no cost). Flea treatments kill adult fleas on your pet. As the flea bites your pet it ingests some of the flea treatment and dies before it gets a chance to lay eggs, thus breaking the flea breeding cycle. 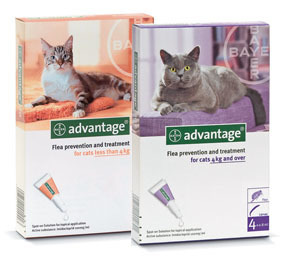 Some products can kill fleas before they bite (Advantage, Advocate, Seresto) because just touching the product on the skin can cause fleas to be affected. Some products can kill eggs or larvae which have not fallen off the pet yet (Advantage, Advocate, Activyl, Seresto). Treat consistently all year round. Follow the product’s instructions carefully. 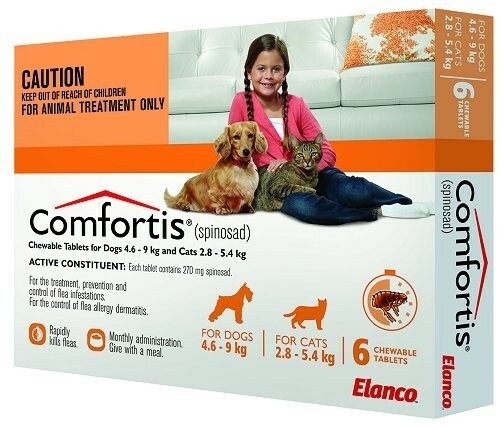 Products we recommend - Comfortis. 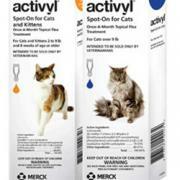 These treatments come in small tubes and are squirted between the fur on the back of the neck onto the skin. They spread over the skin. Traditionally flea collars were designed to repel fleas from your pet rather than to actually kill fleas. They also only repelled fleas from the head and neck area whereas most fleas prefer to hide along the back, tail base and belly areas. For these reasons flea collars were generally not very effective in controlling fleas. 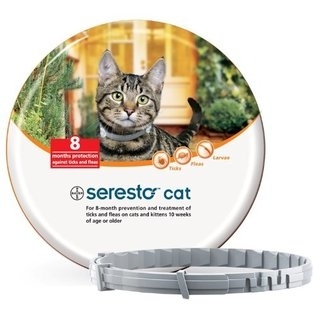 There is now a flea collar called Seresto and this actually constantly releases a flea product which then spreads over the coat like a back of the neck treatment; this treatment is very effective.